When asked to describe today's tour from Canandaigua to Syracuse, Emil said "grau in grau" (grey in grey), but beautiful countryside and charming little towns. The whole day was quite foggy, sometimes so thick it was almost like rain. The tour at "only" 69 miles was one of the shorter ones, but another flat tire added to the time on the road. 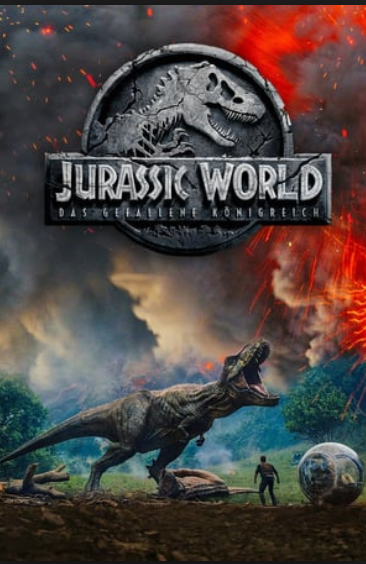 In view of the weather, I had promised myself a special treat today and planned to see the new Jurassic World movie, the Fallen Kingdom, at the IMAX theatre in Syracuse. Emil was sweet enough to come with me, although it was certainly not the kind of entertainment he enjoyed and the sound system was quite overpowering. I must also admit that the first Jurassic World movie had more substance as far as plot and acting went. However, we both were impressed by the animation and the enormous shopping mall with its 20 theatres where the movie was playing was also something special. Oh, and "grausam" is my little pun, the word meaning "horrible" in German. And here I am referring to the main characters in the movie (the dinosaurs), not the quality of their acting...they were pretty scary.